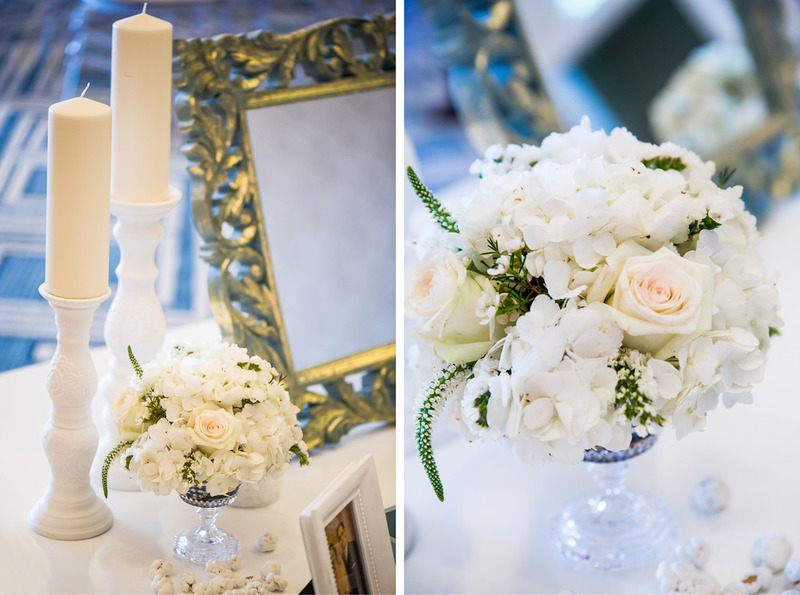 This Iranian sofreh ceremony was re-interpreted in a modern way with a neutral colour palette of teal, white and green. This was a huge contrast to the dinner that followed that was a bold Moroccan inspired mix of fuchsia, magenta, gold and teal. 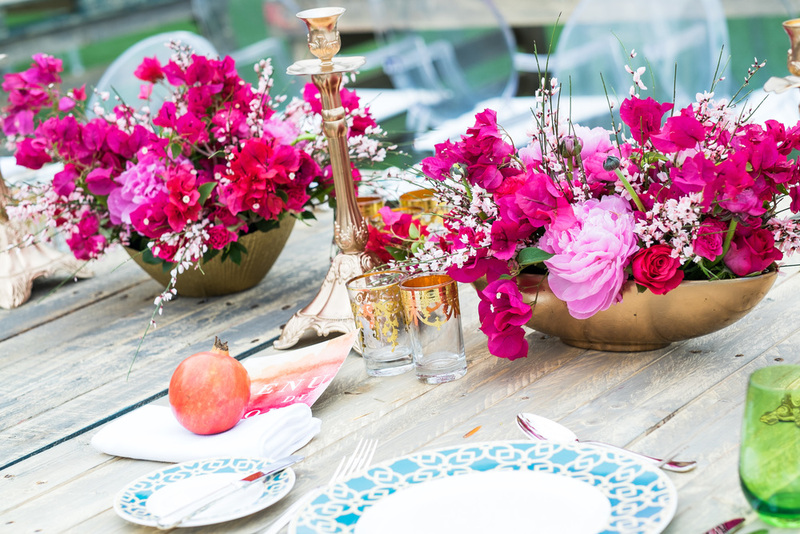 Bougainvillea crept up and down the tables with ornamental bronzed candlesticks and lanterns dotted in between. Pomegranates - a symbol of fertility, abundance and marriage - were used for the place settings.